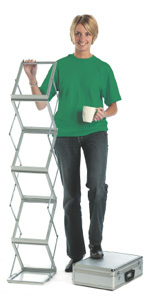 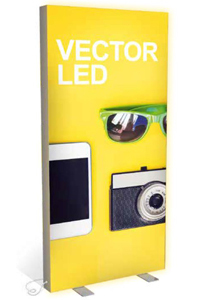 Apart from choosing a stand based on the size of your literature, e.g. 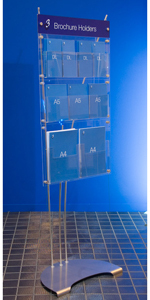 A4 Portrait, A5 etc, also consider the thickness and quantity of the material you want to display. 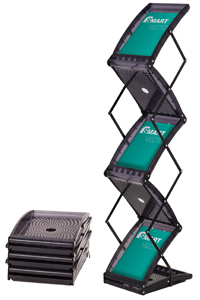 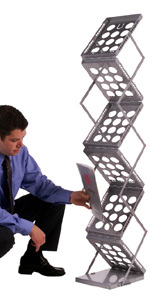 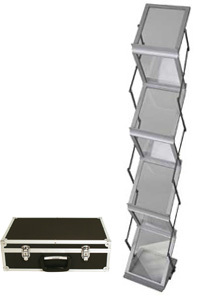 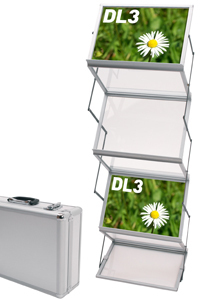 All the stands are great for datasheets and most brochures, but for easy access to folders / packs or annual reports that you don't want bent, choose a stand with flat open shelving like the Media Compact or EuroStyle ones. 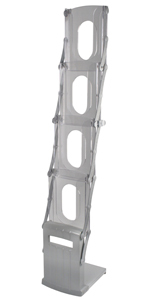 If capacity is more important than portability - look at the Semi-Portable range, and if you're not sure, please phone for advice. 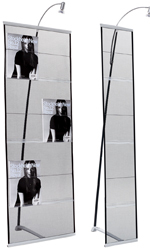 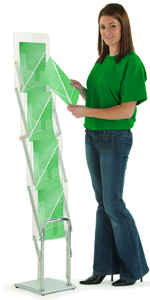 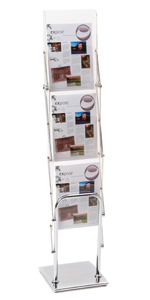 Click to see folded stand and bag. 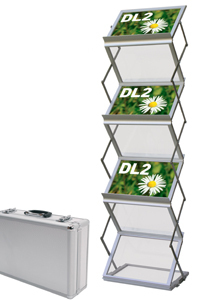 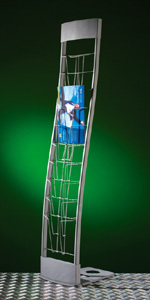 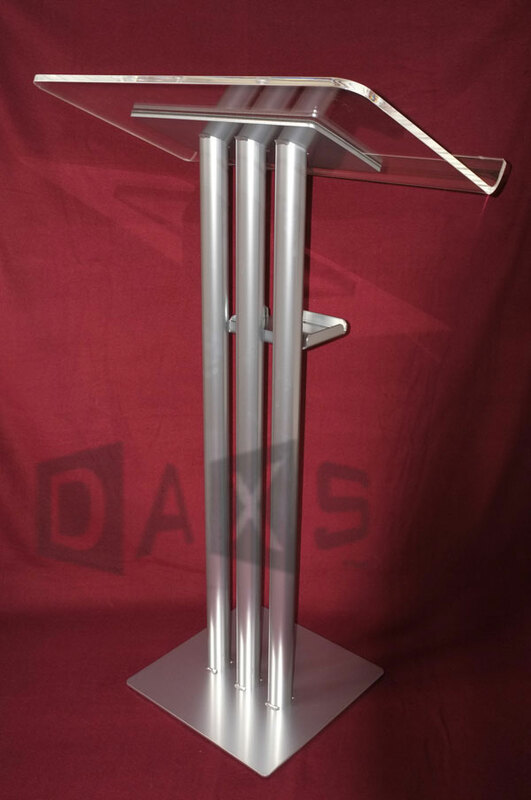 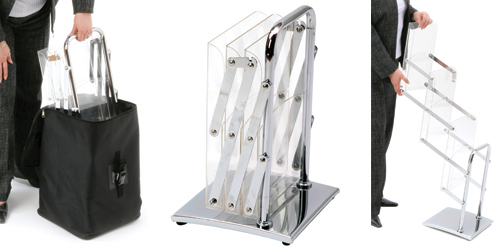 This elegant D3 Display can combine a mix of A4, A5 and DL brochure holders, with a product display shelf and header panel for branding - ideal for posh receptions and retail applications, and yet easily assembled and transported for use at exhibitions.